Hotel Oxford Deluxe is an affordable property located at Rajguru Marg, Chuna Mandi, Paharganj, Delhi. This hotel is just 8 mins away from the happening Connaught Place. Ugrasen ki Baoli and Jantar Mantar are at a distance of couple of kilometers. The washrooms are well-maintained and possess all the latest facilities. All rooms are well-equipped with amenities like AC, TV, and king-sized bed along with free Wi-Fi. The hotel has a power back up and CCTV cameras in all the main points. 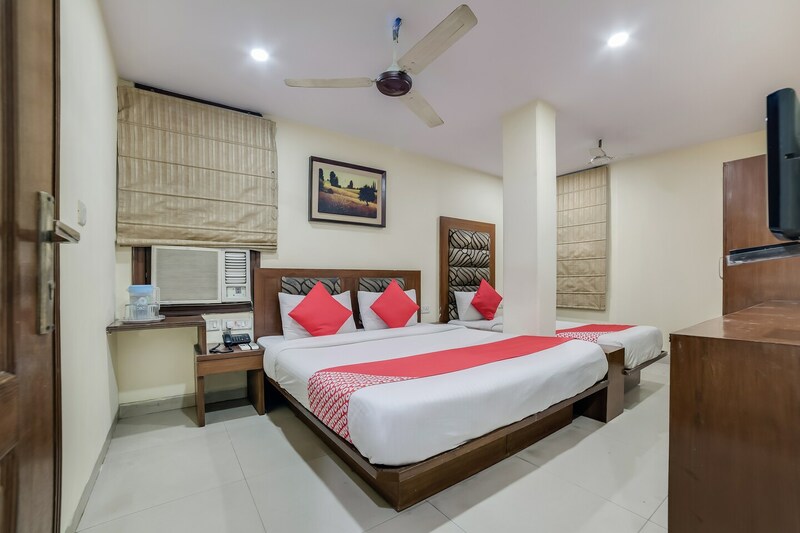 Since the hotel is located centrally, you can visit most of the attractions such as Humayun's Tomb, Qutub Minar, Chandni Chowk, Rashtrapati Bhawan, India Gate and Lotus temple by taking a cab or an autorickshaw.